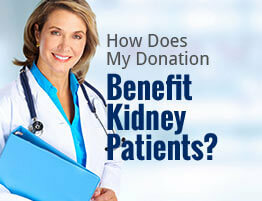 American Kidney Services (AKS) has donation locations throughout Atlanta, Dunwoody, Marietta, Smyrna, and all surrounding areas. We are a qualified non-profit 501 (c)(3) charitable organization that collects used clothing and household items for resale. Proceeds generated from your donated items go to the American Kidney Fund, an award-winning charity that provides direct financial assistance to patients suffering from kidney disease. AKS welcomes donations of men’s, women’s, and children’s clothing, silverware, glassware, dishes, small kitchen appliances, electrical items, books, and much more. You can make a donation drop off, day or night at any of our convenient 24/7 donation drop box donation centers, or Value Village donation locations throughout the Atlanta area. If you would prefer to schedule a donation pick up with AKS, simply call 770-609-2200 or fill out our online form to add your name to our rotational donation pick up schedule. We offer standard weekday donation pick up, expedited pick up, and special weekend collections that are reserved for large loads. With so many donation locations and ways to donate to our community charity, helping those in need has never been easier. Don’t hesitate – make good will donations today.